Shawn has been a Real Estate Developer, a Church Planter, a Megachurch Pastor, and now CEO of a fast growing coaching organization. His heart beats quick for Leadership, Personal Growth, and Organizational Health, and helping people accomplish their momentum. What is the 521 Conference? Jesus told the Parable of the Talents in Matthew 25. In this story, the master gives three servants 5 talents, 2 talents and 1 talent, respectively. He never tells them how to leverage what he gave them but still expected them to do something with it. We learn that what we have been given by God is less important to Him than what we do with it. The 521 Conference is an opportunity for church leaders of all giftedness and ability to learn how to leverage their "talents" to give more people a chance to find and follow Jesus. God loves pastors and churches of all sizes but doesn't want any of us to sit on what he gave us. 5 Main Sessions & 12 Breakout Sessions! Each breakout speaker has experience helping churches break through growth barriers. Their focus will be helping churches connect the Gospel to those farthest from it. 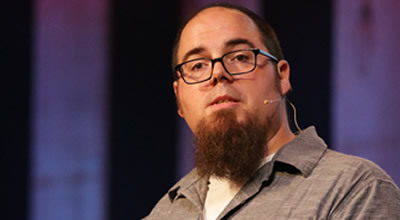 James moved from Atlanta to plant Bridge Church in downtown Brooklyn, NY, in 2014. Today, they are a growing, multi-racial congregation meeting next to the Barclay Center in the heart of Brooklyn. Sean planted Grace Church in the fall of 2005. It has grown to 2000 in weekly attendance in three locations. Additionally, they have planted four other autonomous churches in the last 8 years. Brian was part of the launch team at Grace Church and is now the Experience & Development Pastor. He was bivocation for the first 10 years and started two companies that employed several Grace Church staff. 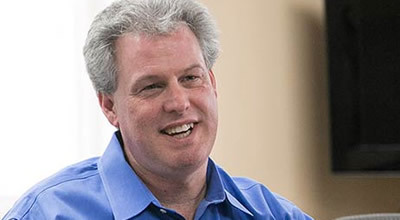 Brian is the author behind one of the most read church leadership blogs. He has grown it to over 50,000 readers per month. At his daytime job is as Director of New Ministry Relationships for Injoy Stewardship Solutions where they help churches fully-fund their mission and vision. Since he began pastoring in New England Anthony has led a movement to TRANSITION dying churches, MULTIPLY healthy churches, and BIRTH new churches. He also started the New England United Network. Andy has spent the past 15 years serving in a variety of ministry roles and is now the director of Greenhouse which provides training environment to help churches thrive. He's the founding director of several ministry conferences: Lead Youth, Lead Kids and Simply Worship. Cha has been with Grace Church for the last 6 years and leads all community service projects, three international, annual mission trips and oversees the entire missions budget for Grace Church. She has led Grace to serve more than 4,000 spiritually disconnected people in the surrounding communities since the beginning of the year. Manny was the assistant pastor at the church he currently leads. He stepped into the pastorate at a fragile time in the church's history. God used Manny to turn that plateaued church around. He is a bold and tactful leader and has learned how to navigate the difficulties of succession in the local church. Hosted at Grace Church in Avon, MA. The church is located just 20 minutes south of Boston. If you're looking for a hotel there are several nearby and we can get a discount! "It's always great to hear regional speakers, but to combine them with two nationally known speakers was completely amazing!" "I got tons of practical teaching. I left with lots of notes of actual action steps to take instead of just theories to navigate!" "I loved the quality and intentionality of each session. I also like how you left 10-15 minutes at the end of each breakout for Q&A. "